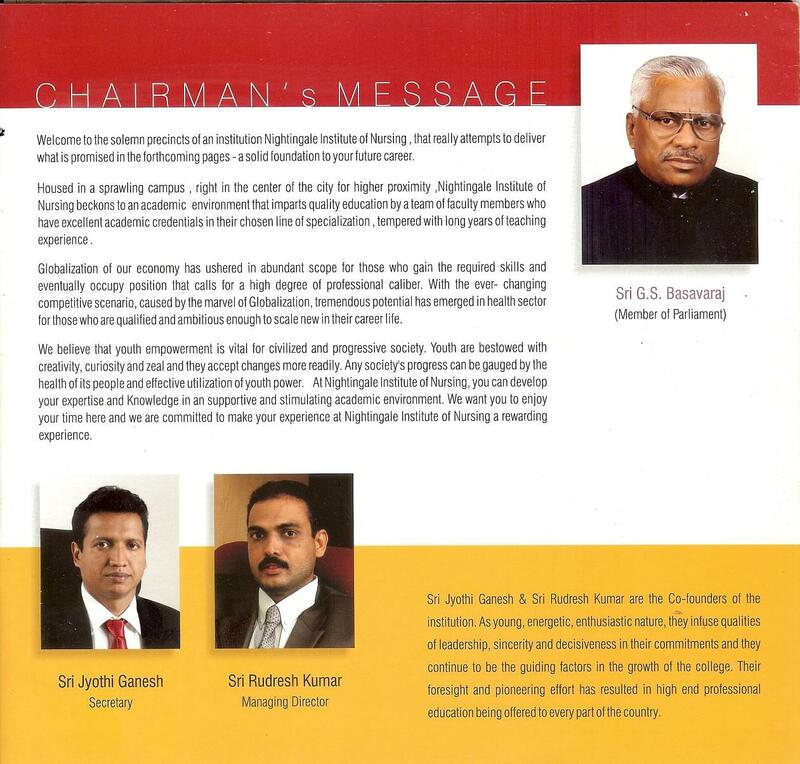 Nightingale Institute of Nursing, Bangalore was established in the year 2003 with Sri. G.S. Basavaraj, member of parliament’s chairmanship. The well known medical college is affiliated to Rajiv Gandhi University of Health Science, and is governed by Sri Channabasaveshwara Swamy Rural Education Society, Tumkur. 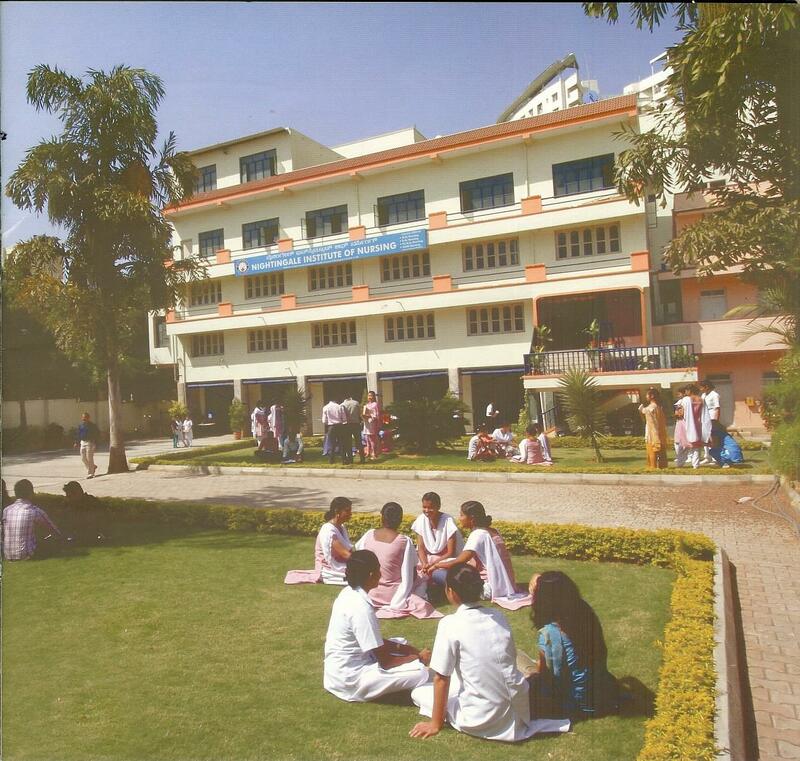 The nursing college has tie-ups with several well known hospitals for exposure of students to best quality education possible. 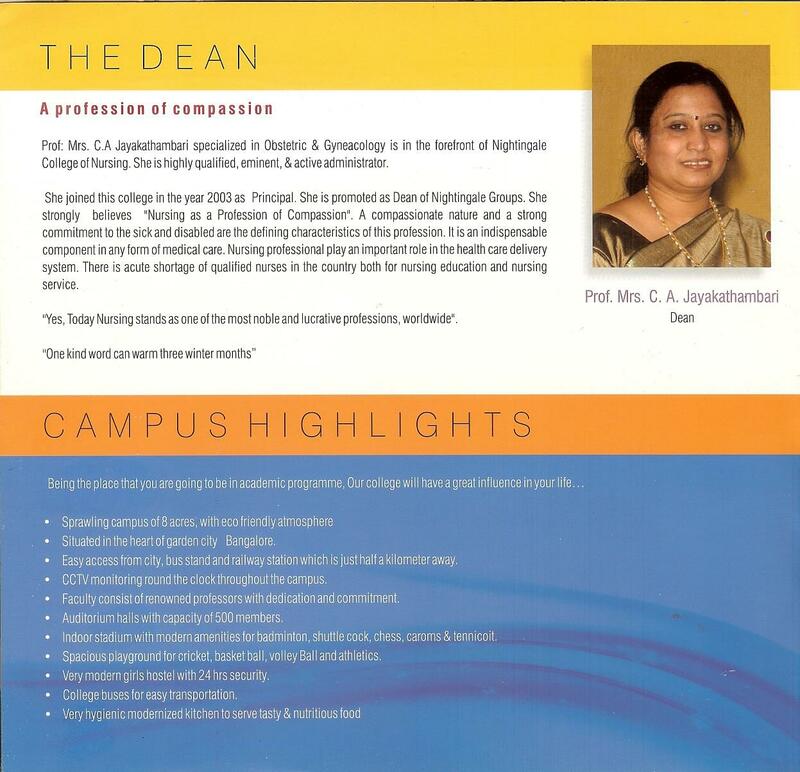 Tie-ups with giant hospitals - The Nightingale Institute of Nursing in Bangalore is one of the best nursing colleges with its tie-ups with several giant hospitals. The college has tie-up with major hospitals in the area including CARE Hospitals, Apollo Groups, UK Hospitals, Narayana Hrudayalaya, Manipal Hospitals and more. Quality Education - The college’s UG clinical training takes place at ESI Hospital, Republic Hospital, JJR Maternity Centers, Nagaraj Memorial Hospital, and Spandana & Nimhans for Psychiatric care. The PG clinical training conducts at Indira Gandhi Hospital, Nimhans, Vani Vilas & Victoria Hospital, and Ellamma Dasappa Hospitals. With tie-ups with these hospitals, the college offers best quality education possible.